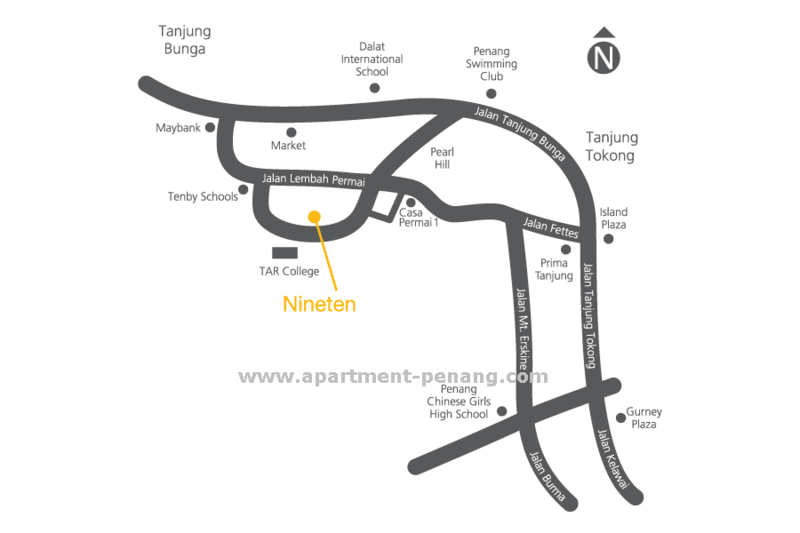 Nineten @ Permai Village is located at Tanjung Bungah, Penang. 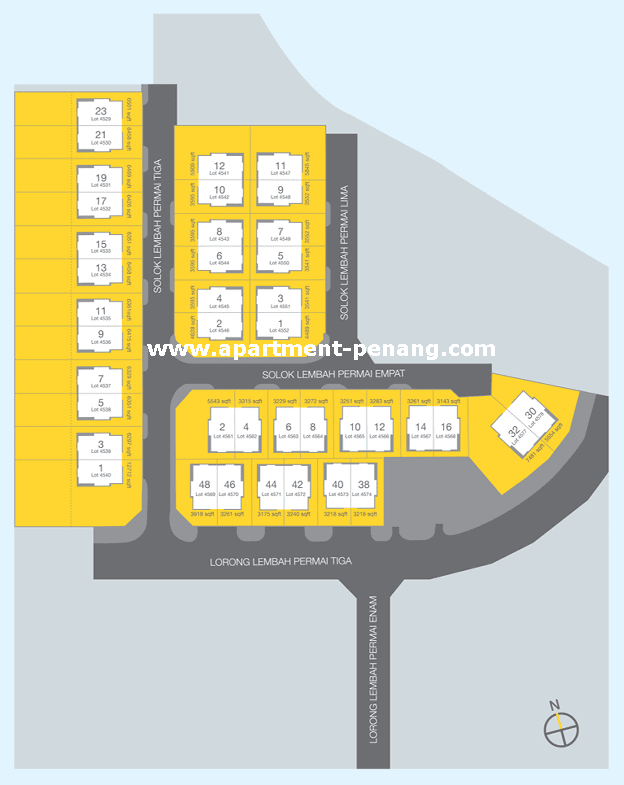 Nineten comprises 3-storey semi-detached house with a total 40 units. The semi-detached house come with 5+1 bedrooms and 5 bathrooms with a gross built-up area of 4,835 sq.ft. The land size of each 3-storey semi-detached house measuring from 3,218 to 12,712 sq.ft. Built-up Area : 4,835 sq.ft. Land Area : 3,218 - 12,712 sq.ft. The design does not do justice to the beautiful and unique site. As an architect myself, I can not help agonising everytime I look at the design of the various phases especially the spatical planning. There are great opportunities for exciting design concepts in terms of the master plan and the individual unit which will add values to the development both for the benefits of the buyer and the developer. Such opportunities if not taken will be lost forever. I suggest BSG sack its architect and get someone with design flair to breath new life and excitement into this site where there are a few more phases to go. one of the best Semi-D that i like personally is Minden place. i agred with HF in terms of lack of good design in a penang island. I have been looking for something landed to buy around this area and have been researching this Permai area. I see Eric's blog on Boon Siew's plans for this area, where all the nice multimillion dollar houses will be towered over by the proposed blocks of condos built in the middle of them. I went this evening for a drive around the area. The land has indeed been cleared by Boon Siew. Does anybody know if it is confirmed that Boon Siew will build all these condos? I really pity all the new houses there. Sri Setia's new plan with the 32-storey and 9-storey building is at Penang City council and awaiting approval. We try to convince the council not to approve it but need more help! The house is ideally located near beaches, international schools, hypermarkets, wet markets, banks and other amenities. It is a three storey, fully renovated, nicely designed semi-detached house with a built-up area of 2,540 sq.ft., a land area of 1,850 sq. ft., four bedrooms, two living halls, one kitchen, three toilets, a sheltered car-park and a covered patio. From the third floor, it oversees a partial picturesque sea-view of the Andaman Sea and the surroundings are tranquil, breezy and full of greenery. The house is very clean and well kept and protrudes a simplicity concept. Moreover, it houses a guarded and gated community with an alarm system internally and a CCTV externally. The released price of RM1.5 million is with partial furnishing. However, if you require any other furnishings it can be negotiated as the premises is fully furnished. If you are interested in this abode, please feel free to drop me a line so that we can discuss further on this wonderful residence. You must be dreaming! Land area of 1850sqft? Hahaha....pls lah, do your home work before making a fool of yourself!